Other than a few rain drops on Saturday morning, the weather was perfect. Additionally, for the first time we used our Silver Mountain Targets for the match. Frankly, we were pleased. During our Winter league and the first of our Suburban Mid-Range Prone matches we had various issues with performance. However, on this last Saturday, we had only minor issues. Those issues were directly related to competitors on the low end of the line periodically blocking the WIFI signal from the base station. The net was competitors were not able to see their last shot. However, everyone became used to the issue, and simply told the offending party to "move their a**". 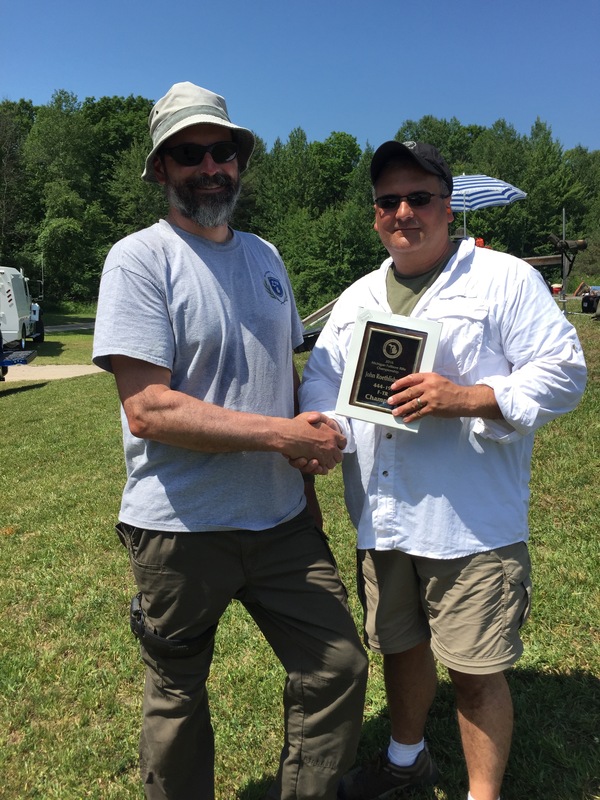 In the Target Rifle Category, Kevin Nevius finished with a perfect score: 450-23X to become match winner. He was closely followed by 77 year old Peter Church with a 449-32X, who as a Michigan resident claimed the State Championship. We believe with a couple more years of experience and Pete will get really good! Third place was taken by Jake Bondy with a 448-22X. I think in Jake's case, he will get better with more experience. In the F-TR category, John Roethlisberger fired a 444-19X to win the State Championship. Using a rifle and ammo borrowed from John Pierce, Mr. Roethlisberger bested Mr. PIerce, who finished with a 443-19X for second. Third was Scott Burr with a 441-16X. I would like to extend a thanks from the Midland County Sportsman's club to Ray Gross, and Scott Burr. Without their efforts it is unlikely the electronic targets would have functioned at the flawless level we experienced on Saturday. Thanks, Guys! 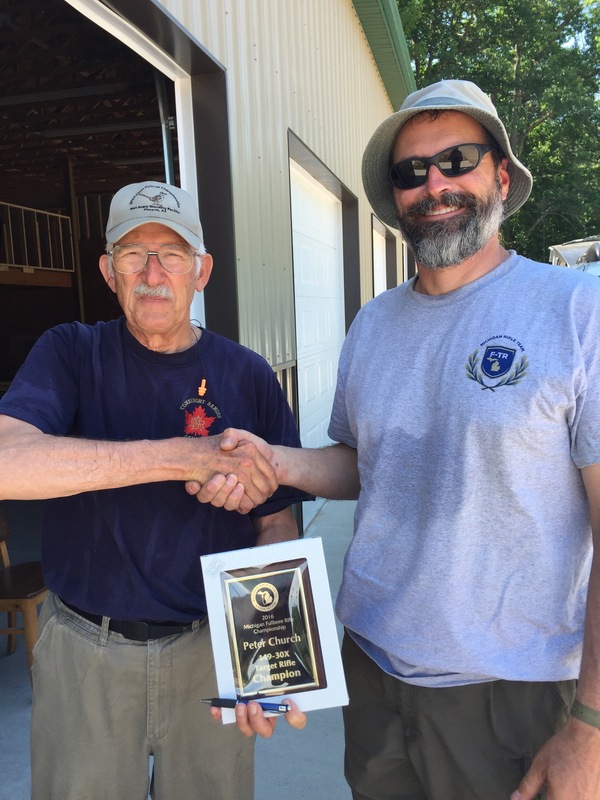 Ray Gross congratulations Peter Church for his Fullbore Target Rifle State Championship win. Ray congratulating John Roethlisberger for his Fullbore F-TR State Championship.